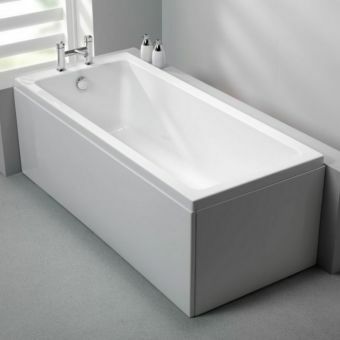 Formal and minimalistic, this walk in bathtub is designed to fit into even the smallest of bathrooms with a footprint of just 1260 x 650mm, barely larger than a shower tray. 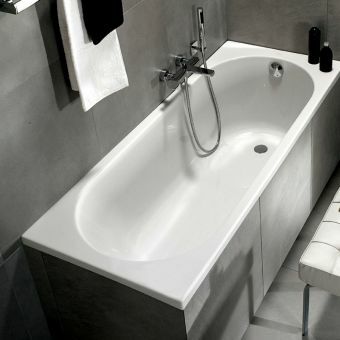 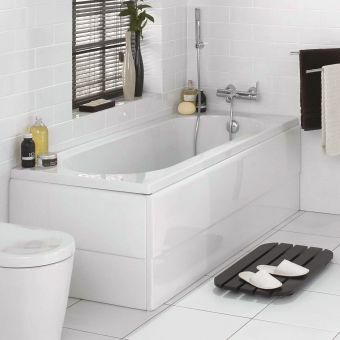 If you require assistance for bathing or just want to be independent of others, taking a bath can be a challenge but this deep soaking bath has been created with this scenario in mind and includes an anti-slip base as standard to aid entry and exiting. 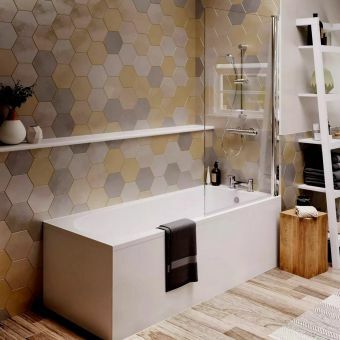 The 10mm safety glass uses aircraft grade stainless steel components and features a manual locking mechanism that can easily withstand the pressure of a bath full of water. 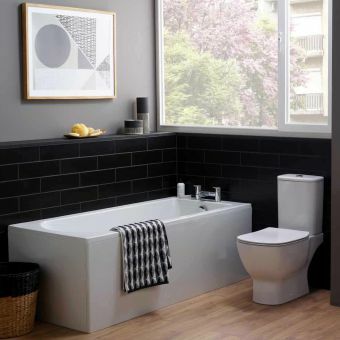 To assist you when you have closed the door, there is a handy seat moulded into the back of the bath so you can rest while filling plus twin wastes that expel water at twice the normal rate so you don't have to hang around for too long when the soak is over. 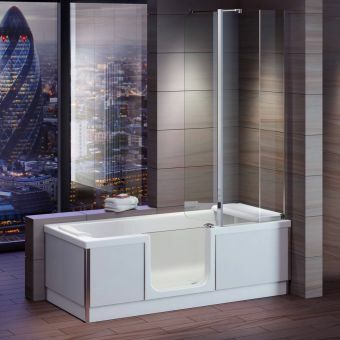 The unit comes in two options with a left or right-hand door and due to its short dimensions, the showering handset or taps are easy to reach.